New-found technology develops new types of transportation ships. 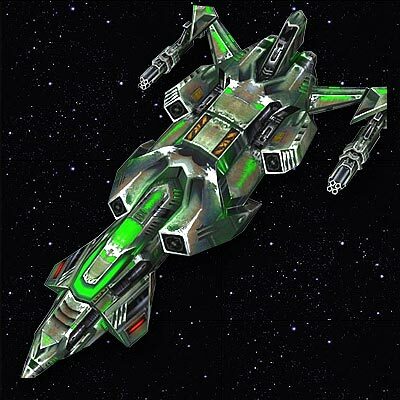 The ship is supported by energy shields that give three times better structure of its predecessor, by jet engines that give five times the old capacity and much higher velocity. It becomes an exceptionally important mean of transportation during your whole cosmic saga. 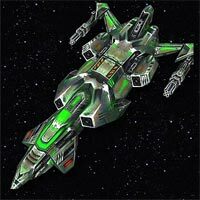 Cargo: 25000Attack: 5Ship hull: 12000Speed: 7500Gas consumption: 50Cost: 6000 Metal, 6000 CrystalsWeapon: Laser; Armor: 5% Light;Improvements in Factory: 5% per level.